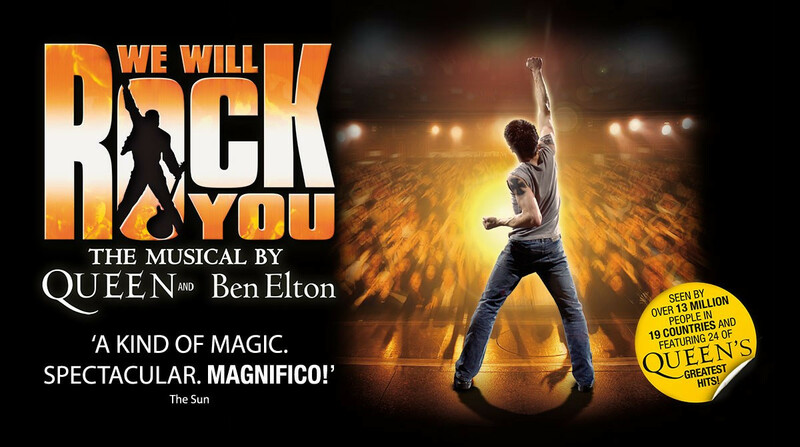 Since 2002 over 16 million theatergoers in 19 countries have thrilled to this awe-inspiring production. With 24 of Queen’s biggest hits delivered in a show that boasts the scale and spectacle that marked the bands’ legendary live performances. Includes 24 of Queen’s greatest hits: Radio Ga Ga, I Want To Break Free, Somebody to Love, Killer Queen, Bohemian Rhapsody, Don’t Stop Me Know, Under Pressure, Another One Bites The Dust, We Are the Champions and We Will Rock You. A kind of magic. Spectacular. Magnifico!